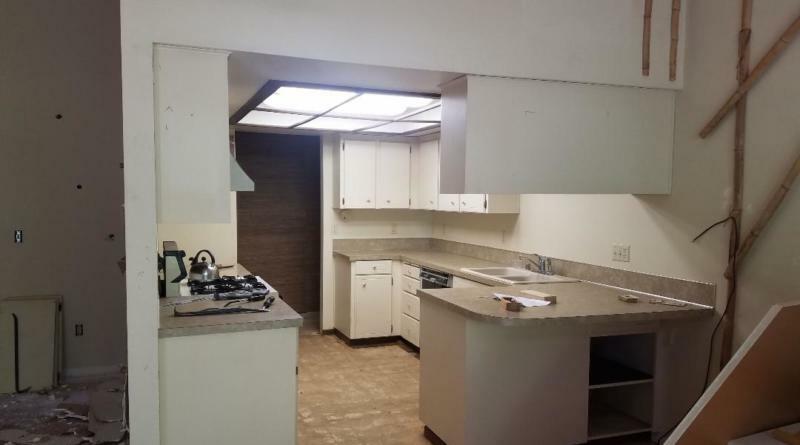 Located in a very desirable Salmon Creek neighborhood, this 80’s ranch style house was cut up into small spaces with meandering hallways and a narrow galley kitchen. Scherer Enterprises could see the potential of the bones of the house and recommended a full renovation. We removed several interior walls and really opened up the space. A 30-foot long glulam beam was installed to structurally support the large vaulted ceiling. In addition to replacing windows on the east facing wall we added 3 skylights and the area is now flooded with natural light. The kitchen was moved from the interior of the house to an exterior wall lined with tall windows creating an open great room concept. 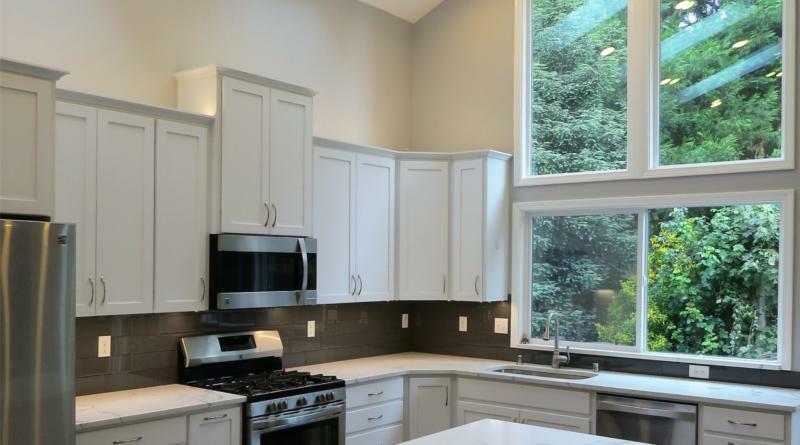 The kitchen is anchored with custom white cabinets featuring an 8-foot long island. The counter tops are white Quartz with a grey marbling backed with a charcoal gray glass subway tile. LED strip lighting provides dimmable light under and on top of the cabinets. In the main bathroom we focused on accessibility for ADA compliance. The tub was removed and a we built a large, easy entry tile shower. The vanity was designed so the quartz counter is easy to roll under for wheel chair accessibility. Whatever type of project you have in mind, Scherer Enterprises can help you make it a reality. Larry Scherer of Scherer Enterprises has been remodeling homes in Vancouver since 1994. At Scherer Enterprises good communication with the client is key to good customer service and providing the client with awesome results.